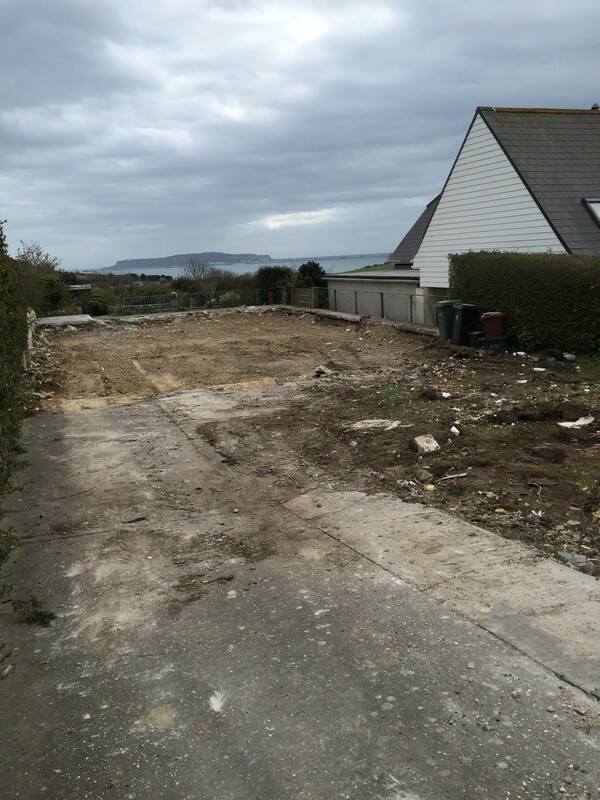 Where has the old bungalow gone? We lived in the old 1960’s bungalow for five years before moving out. The accommodation was limited, but it had a good sized garden and great sea views across Weymouth bay. We knew we would have to modify it somehow to suit a growing family so we started looking at our options. We looked into renovating the bungalow but it’s poor construction and lack of insulation made us realise we needed to start again. It was at this point we looked into the concept of building to the German Passivhaus standards. We looked into various procurement methods including ordering a flat pack from Germany. We also tried to convince local builders to build our passivhaus design, but none were convinced. As a result we are self building with guidance from passivhaus consultants and timber frame experts. It is our intention to build to passivhaus standards whilst testing and comparing the costs with a conventional house build.